The ParaJiu-Jitsu Classes & Regulations aims to promote the practice of jiu-jitsu among people with reduced mobility, motor deficiency (acquired or congenital), intellectual deficiency, visual impairment, seeking the social inclusion of Paratletas through high level competition , promoting the professionalism and recognition of Paratletas. The UAEJJF also aims to disseminate jiu-jitsu by propagating the practice of soft art in rehabilitation centers, supporting social and grassroots projects. | CLASS P | Hearing Impaired (Hearing Impaired). Upload medical certificate that proves Para-athlet's pathology with ICD and a detailed description of the motor, visual or intellectual impairment that he or she has. Informed medical certificate that the para-athlete is fit in good health for jiu-jitsu practice. • Medical certificate that proves Paratleta's pathology with ICD and a detailed description of the motor, visual or intellectual impairment that he or she has. • Informed medical certificate that the para-athlete is fit in good health for jiu-jitsu practice. I submit my registration with the UAEJJF and other affiliated organizations. In case of need for medical care, I authorize and agree that physicians present at any event held by UAEJJF and affiliated organizations, may take the necessary measures if injured in any sports dispute. I also understand that tickets will be sold to spectators to watch the tournaments; that the media and others will cover the tournaments and my image may be videotaped and / or photo may be displayed, disclosed, commented and / or reported to audiences around the world, and I do not expect and waive to any rights and compensation for the use of my image. I declare that I am in good health; I will not participate in tournaments while under the influence of any drug or medication; that no one affiliated with this organization encouraged me to enter or made any representation regarding my ability or ability to participate in tournaments. I read and understood all terms; and I am legally competent to and agree to these terms releasing the UAEJJF and affiliated organizations from any risk or proceeding. The general rule in the distribution of the banners will be: white fight with white, blue with blue, purple with purple, brown with brown, black with black. According to the number of para-athletes, Colored Bands will fight together, a rule defined in the union rules of categories. (There will be a need for technical and medical interventor for this acceptability). If entries do not generate brackets with at least 3 (three) para-athletes per track category the UAEJJF may use the following formula for Union of Categories per Track, a rule defined in the category union rules. The organization can create category by strip (Formula that the UAEJJF will apply if it is not possible to generate brackets with at least 3 para-athletes per category of track). When called by the caller of the brackets, the visual deficient paratlete and his / her respective guide must wait in the indicated concentration area, near the competition area. The visual deficient paratlete's guide must accompany him to the entrance of the fighting area and wait for the referee's authorization so that the paratletas can enter the fighting area for the beginning of the fight. The paratrooper will enter the fighting area with the aid of the referee. The guide must return to the area of concentration and will not be able to communicate with the competitor during the fight by any means. The referee will notify the paratroopers of the chronometer's progress every (1) minute. The paratlete begins the fight standing and with contact with the opponent's kimono making alternating footprint of collar and sleeve. The fight is interrupted when there is TOTAL loss of contact with the opponent. There will be no punishment for the paratrooper who leaves the combat area. The guide must return to the entrance of the fighting area to lead the paratlete after the proclamation of the result of the fight. In addition to weight categories, paratutors will be divided into three classes, according to the degree of visual impairment. All begin with the letter B (blind, in English): B1, B2 and B3. Men and women have the same rating parameter. The referee's order to stop the fight will be through a simultaneous touch on the top of the para-athletes head with hands flattened down with open fingers. This touch is a private act of the referee. If an para-athlete uses it during the fight it will be disqualified. You will not be able to use a hearing aid during the fight. The minimum number of 3 (three) para-athletes to close category is not achieved. Class CLASS-A and CLASS-I: amputee of a lower limb and bi-amputated from the knee down (CLASS-A) fight with non-severe sequelae of lower limb poliomyelitis (CLASS-I). CLASS-C Category: amputee and proximal bi-amputated lower limb fight together. Prohibited the use of foot switch in the fight between amputee and proximal bi-amputee. Permitted the use of foot switch in the fight between amputees. Category CLASS-K and CLASS-J: medullary injured (paraplegic lower limbs - (CLASSE-K) struggles with sequel severe lower limb poliomyelitis (CLASSE-J). The fight will always begin with the para-athletes sitting. In the category where there is CLASS-K para-athlete are considered prohibited blows: guillotine, a triangle of hand with rotation. The movement is known as "cross face" is also considered forbidden. The applications of these techniques will be considered serious technical fouls by execution of prohibited blow. Punishment: Summary disqualification at the time of the offense. It is forbidden to apply a foot, knee or any twist on the lower limbs in the CLASS-K category. CLASS-A and CLASS-C (amputee) para-athletes will not be able to place the knee in the belly of CLASS-K para-athletes (spinal cord injured - paraplegic). When the para-athlete of CLASS-A and CLASS-C categories places the knee in the para-athlete's belly of the CLASS-K category, it will be considered a serious offense punishable by the progression of punishment sequence in the rules book. The referee will stop the fight, apply the punishment and it will restart with the two para-atletas facing each other. CLASS-L when there is union of categories. In the aforementioned cases, the application of the foot brace, knee or other twisting in the lower limbs will be considered a very serious technical foul due to the execution of a prohibited stroke. Punishment: Summary disqualification at the time of the offense. Important: The fight will always begin with the para-athletes sit facing each other and when there is union of categories. Categories CLASS-H, CLASS-E, CLASS-H and CLASS-I: amputees and bi- amputees of the lower elbow, amputees and proximal amputees of a superior limb, amputees and amputees of the lower elbow and sequel non-serious polio of the upper limbs. It is forbidden to apply the foot switch when there is a fight between two amputees up to the elbow with proximal limb amputees or with amputees up to the elbow. In cases where the paratlete does not guard because of the nature of his disability the 3 points will not be computed by guarding pass. 1 - Bi-amputated para-athlete's category of lower limb, paralyzed lower limbs (paraplegic) and sequelae of stroke / stroke with paralysis in the lower limbs. There will be 3 Points of the Dominion by Immobilization: When the overhead para-athlete is able to transpose the legs of the opponent underneath and maintains the transverse or longitudinal control of the opponent on the ground for 5 (five) seconds. Class CLASS-N: The CLASS-N paratlete will be evaluated on the day of the Championship by the multidisciplinary team of the DNCF - National Department of Functional Classification with the purpose of analyzing their eligibility to fight with another category of CLASS. In order to preserve the principle of equality and to make competition fairer, the brackets may be drawn and altered after verification (and validation on the day of the event by the UAEJJF DNCF) of the original documents identifying the degree of intellectual disability, which documents must be sent with the registration form of the paratlete. Original supporting documents must be taken on the day of the competition. The categories will be divided into Light, Moderate and High diagnostic. The unification of the categories can be evaluated on the day of the event by the DNCF of the UAEJJF. Finishing strokes through braces, foot, knee, cow hand, calf, biceps in all their shapes and variations. * Triangle, Ezekiel kills lion and any other form of strangulation. The UAEJJF through its National Department of Functional Classification has the autonomy to reclassify any paratlete on the day of the competition, in case it occurs, there will be a lottery and alteration of the fight brackets on the day of the event. ATTENTION: The official schedule with schedules will be available on the website during the championship week. 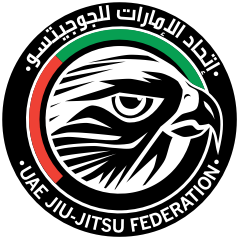 - It is mandatory to carry an official ID or UAEJJF credential in hand throughout the event. Depending on the number of para-athletes enrolled in the championship, some categories may not have the absolute category.